Everyone knows that without cool music and intergalactic sound effects, Star Wars would not be Star Wars. So of course — because you can pretty much find anything on the Internet these days — one YouTube user edited Star Wars: Episode IV sans music during the important “Throne Room” scene, which typically has John Williams’ score playing throughout. Unsurprisingly, this has led to another pretty hilarious viral video. So what exactly would a completely music-less scene be like? Well it kind of feels like that moment when you walk into a party and realize shortly thereafter that you’re “the rando”: awkward at first, but funny when you share the moment with your friends later. 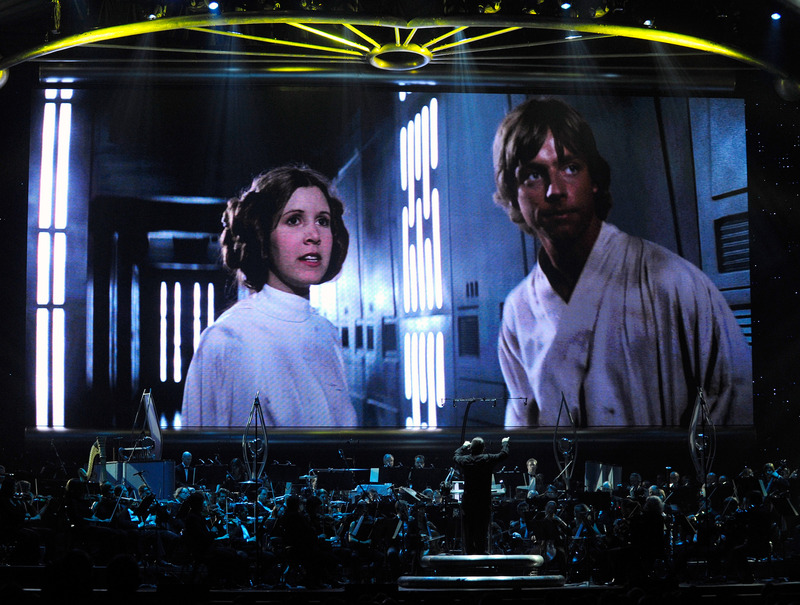 Though the original scene features Williams’ music in the background as Luke Skywalker, Han Solo and Chewbacca make an epic walk toward Princess Leia to be donned with medals and be praised by the crowd with applause, user Auralnaut’s version starts completely silent once the men walk into the room. To be honest, the silence also makes it seem like the characters are walking faster down the aisle, but that’s probably just because I’m living through the uncomfortable moment with them. And when you thought it couldn’t get even more awkward, Auralnaut also made the wise decision to edit Chewbacca’s wookie noise (you know the one) so that it sounds like someone yelling… an awkward yell. On the plus side, however, all that silence allowed me to bask in the glory of Mark Hamill and Harrison Ford’s younger days, which is always nice.